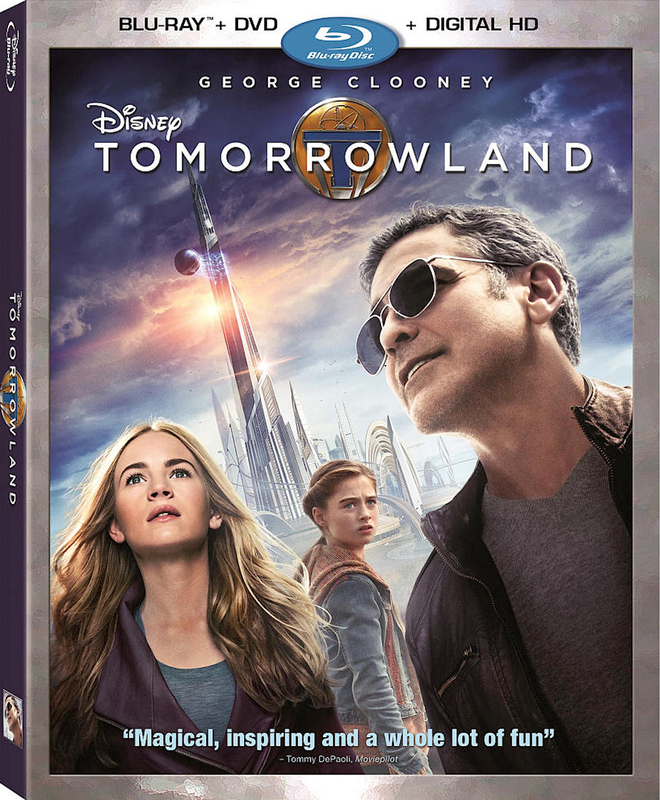 Today, Disney is releasing director Brad Bird’s big budget fantasy Tomorrowland on Blu-ray. Casey Newton (Britt Robertson) is a young dreamer who finds a mysterious pin that seemingly transports her to a futuristic world every time she touches it. The pin brings her into contact with Frank Walker (George Clooney), a grizzled inventor who understands what these visions actually represent. Although flopping in theatres, Tomorrowland is still an ambitious and worthwhile piece of work, with a lot of intriguing ideas behind it. The film provides a fun and thoroughly enjoyable ride for families, that has a unique and refreshingly optimistic message for a brighter future, and is well worth checking out for yourself. You can read our three views of the film right here. The Blu-ray includes deleted scenes, several featurettes on subjects ranging from Brad Bird’s personal connection to the material and a look at the scoring sessions with composer Michael Giacchino, as well as an animated short entitled The Origins of Plus Ultra. Tomorrowland is 130 minutes and rated PG.